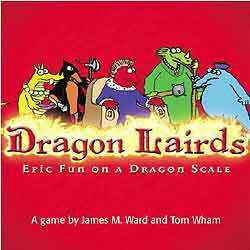 Dragon Lairds is a game of stategy and resource management. There are many paths to victory, from shrewd economics to careful use of dargon powers and magic. Form alliances, betray your allies, or take on the world! Build your group of noble dragons, acquiring wealth from hordes of commoners, or strengthen the infrastructure of an empire by focusing on important resources. No two games are ever the same!